The world watched in horror on March 11 as the fifth-largest earthquake on record slammed the Tohuku and Kanto regions of Japan and has remained transfixed as a series of natural and unnatural disasters have followed in its wake. As of today, the number of dead and missing has exceeded 27,000 and a full-scale nuclear catastrophe looms at the Fukushima Daichi nuclear power plant, which was critically damaged by the earthquake and ensuing tsunamis. The immediate challenge facing the Japanese government is to stabilize the situation — ensure that nuclear fall-out is averted or mitigated and secure shelter, food, heating and clean water for the thousands of people made homeless. Japan’s disaster relief services, having learned much from the Kobe earthquake of 1995, are well equipped to meet these immediate needs. The Japanese government will face difficult decisions, however, as it plans for long-term rebuilding. Japan is currently following an unsustainable economic trajectory; in particular, it is becoming increasingly dependent upon other countries for energy and food at an alarming rate. A successful rebuilding strategy will be one that combines traditional macroeconomic stimulus policies with policies to improve sustainability and self-sufficiency in three primary areas: food, energy and culture. As it happens, the twin Japanese concepts of satoyama and satoumi, recently highlighted by the Japanese government at the Convention on Biological Diversity, provide an excellent basis upon which such a strategy may be modeled. The practices of satoyama and satoumi refer to traditional Japanese land-management methods in inland (satoyama) and coastal (satoumi) areas. The concepts, which comprise not just agricultural techniques but entire socio-ecological systems, have provided in the past for sustainable, high-biodiversity areas that produce a range of “ecosystem services” — from timber, rice and fish to energy (biomass and hydropower for instance) and tourism. Although not quantifiable in purely economic terms, the concepts have provided residents and visitors with significant cultural and social benefits. To be sure, Japan cannot simply abandon the innovative, dynamic policies that fueled its extraordinary postwar economic growth. However, its economy has provided an infamous example of first-world stagnation since the “lost decade” of the 1990s and tepid recovery of the 2000s. During this time, Japan has also become increasingly dependent upon imports for energy and food. The country is 16% self-sufficient in energy, importing the remaining 84% in the form of oil, coal and liquefied natural gas (LNG). Of Japan’s home-grown energy, 40% comes from nuclear power, a technology whose future in Japan has been seriously compromised by the Fukushima event. The figures are equally distressing for food sufficiency. In 1965, Japan produced around 73% of its food; by 1998 that number had fallen to 40%. While the methodology and economic significance of this figure is a point of contention among politicians, it is clear that the numbers indicate not just a decline in self-sufficiency, but also changing cultural trends. Japanese people have been shifting gradually from a diet of primarily rice and fish to one of wheat and meat, both of which are primarily imported. Not only are agricultural producers negatively affected, so is the Japanese population as a whole. The renowned good health of the Japanese has deteriorated significantly in recent years along with the cultural connection between people and their food. Cultural decline is not limited to cuisine. The number of cultural activities and ceremonies has in Japan declined significantly in the past 50 years. A revival of satoyama and satoumi could go some way toward mitigating these trends. Inherent in these concepts is a holistic view of society and nature. Traditional yet modernized satoyama and satoumi communities provide not only for biodiversity and sustainable sources of food and energy, they also encourage cultural richness — communal approaches to land stewardship and agriculture have throughout history provided the source for a variety of traditions, festivals and other community activities. Indeed, a sense of collective societal identity could help support the psychological healing process necessary after such a traumatic event. Particularly the tsunami-ravaged Sanriku coastal zones would benefit from such an effort, counting as they do to the most important fishery regions in Japan. 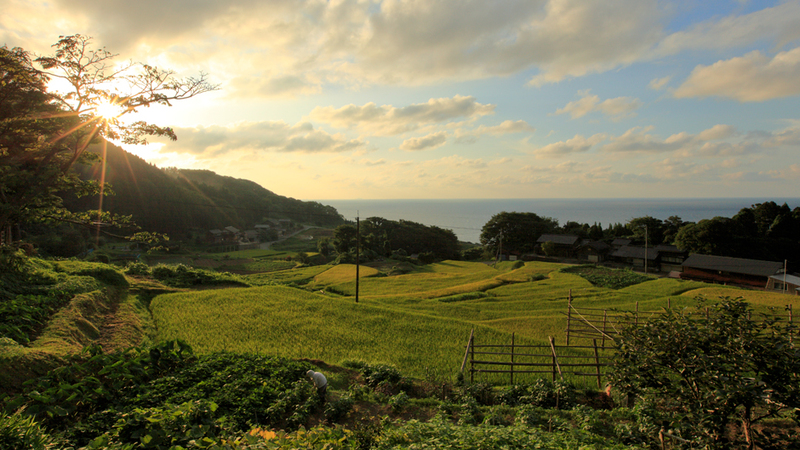 A reconstruction strategy incorporating satoyama and satoumi would help mobilize communities in the short term, and begin Japan’s long-term shift toward a sustainable future incorporating a diverse and renewable-rich energy portfolio and a return agricultural output optimized for its ecosystem. It is not, by itself, a panacea; indeed, there is no single solution for the problems facing Japan’s population — and populations of numerous other first-world countries. But it represents an alternative paradigm for modern sustainability, one that uniquely acknowledges and accommodates long-term cultural, social and ecological needs, and that challenges conventional notions of well-being and progress. We have no doubt that Japan, and its resilient and resourceful people, will recover. But Japan would do well to take the long view as it plans its reconstruction. And we in the rest of the world would do well to watch carefully as Japan navigates the next crucial months. It may yet provide a guiding light as the world seeks a path toward sustainability for the years to come. Japan Should Look to Satoyama and Satoumi for Inspiration by Carmen Scherkenbach is licensed under a Creative Commons Attribution-NonCommercial-ShareAlike 3.0 Unported License. As Communications Associate, Carmen Scherkenbach is in charge of IHDP’s various publications, such as magazines, newsletters, press releases and the website, and provides input for the continuous development of the IHDP communications strategy and product portfolio. She previously worked for the Delegation of the European Commission and the German Embassy, both in Washington, D.C., as well as for Pixelpark AG in Cologne, Germany. She studied in Frankfurt, Cologne and Barcelona, Spain and holds a degree in Communications. Professor Kazuhiko Takeuchi assumed the post of Vice-Rector of the United Nations University on July 1, 2008 and was promoted to Senior Vice-Rector in 2013. His academic career spans 30 years at the Tokyo Metropolitan University (1977 – 1985) and the University of Tokyo (1985 – current). He has served as professor at the Laboratory of Landscape, Ecology and Planning at the Graduate School of Agricultural and Life Sciences at the University of Tokyo since 1997. Since 2005, he also served as the Director of the Division for International Relations, Deputy Executive Director of the Integrated Research System for Sustainability Science, and Advisor to the President. In 2007 he was appointed Vice President for International Relations. Dr. Anantha Duraiappah is the Executive Director of the International Human Dimensions Programme on Global Environmental Change (IHDP) in Bonn, Germany. Dr. Duraiappah is an experienced environmental-development economist, whose work largely focuses on the equity of access and use of ecosystem services. In his previous post as Chief of the Ecosystem Services and Economics Unit of the United Nations Environmental Programme (UNEP) he helped to initiate the Intergovernmental Science Policy Platform for Biodiversity and Ecosystem Services (IPBES) and has since then played a pivotal role in its recent approval. He additionally serves on the scientific committee of DIVERSITAS one of the Earth System Science Partnership (ESSP) partners. He has authored two books on environment and international aid and development, as well as articles in several internationally recognized journals. Dr. Duraiappah continues to successfully incorporate his expertise in science-policy interaction, economics, development and ecosystem services into his work at IHDP. Japan is uniquely positioned to act as a “proof of concept” for other developed countries in finding ways to remember and draw into the present long forgotten ways of living in harmony with nature – and in the process reconnecting with those tangible and intangible qualities of interconnectedness that provide true meaning to our lives and nourish our parched spirits. The spontaneous acts of compassion and service that arise in the immediate aftermath of great disruptions to our daily (and oft-separate) lives – from the simple act of opening one’s home to passersby walking home after the earthquake, to outpourings of love and concern from strangers across the world – are profound demonstrations that at our most human core, relationships of dependence and interdependence are natural and understood, particularly by the heart. And now increasingly by science. Across disciplines – from ecology to economics, quantum physics to the social sciences – diverse examples of connection and community are rapidly becoming recognized, and valued. Until they were eclipsed by the rise of industry, Japan’s long traditions of satoyama and satoumi flourished as expressions of a spiritual ethic of interconnectedness that was intrinsic to the ancient worldview. Now, as our modern industrial “age of separation” cracks under the pressures of its own unavoidable contradictions, we are being pushed and pulled to find a new way of being in the world. Satoyama and satoumi are ancient in origin but their intrinsic wisdom is as vital and fresh as life itself, ever renewing and innovative, and totally adequate to the task of serving as the foundation for a promising way forward. As this article says, the concepts of satoyama and satoumi are no panacea, but they do provide a set of eminently practical values and principles that are, ultimately, priceless for their universal promise and applicability. May everyone inspired by this article go far in supporting and promulgating local and global expressions of satoyama and satoumi, both for Japan’s sake and the world’s. I agree with your basic sentiment, but have a few comments on your content. 1) Energy self-sufficiency of 16% counts, as you say, electricity from nuclear power as ‘home-grown’. Since uranium is imported then dependence on energy imports should be over 90%. 2) It may not be your intention, but you treat the shift in the Japanese diet as if it simply happened of its own accord. It most certainly did not. The late 50s and early 60s saw the US push Japan very hard for increased imports of its surplus agricultural produce, and this was pushed by the media, in schools (school meals) and by kitchen cars sent to the countryside to inform rural people (surrounded by rice fields) about how to cook and eat wheat products and so on! Lastly, yes, Japanese people do need to recall the satoyama/satoumi paradigm, get more nature experiences, get back in touch with their mountains and forests, and get their feet stuck in paddy fields! Given the population issue, as you mention, this is a HUGE task that needs to be carried out over the next 50 years, but won’t be on the current socio-economic trajectory. PM Kan *may* have taken the first little step by asking for Hamaoka to be shut down for extra safety measures – its now OK to say that nuclear power is not safe. If Japan can move towards a nuclear phase-out, using this as a trigger for a hard national think on Japan’s food and energy future, maybe we’ll head in the right direction. What is needed, as one element, is politicians who are prepared to stick their necks out a lot further than PM Kan has. Are they there?